The Draft Legislation for the Greater Sydney Commission gives the commission the power to make Local Environmental Plans and District Plans, says the Urban Taskforce. “The powers proposed for the Greater Sydney Commission give it a major role in determining Sydney’s future,” says Urban Taskforce CEO, Chris Johnson. “The Sydney Planning Panels will be determining development applications over $20 million and the Commission will have the authority to make Local Environmental Plans (LEPs). The Draft legislation even precludes the Minister from making LEPs thereby ensuring that the independent commission has significant power. “The ultimate signal of the Greater Sydney Commission’s power will be demonstrated by the quality of the appointments to the commissioner positions. It will be important that the commissioners understand the planning system and that they are able to advocate for sensible growth in appropriate areas in metropolitan Sydney. “The principal objectives of the Commission stress the role of planning, aligning infrastructure with planning and promoting housing supply but do not mention jobs. One of the major priorities of the GSC will be to manage the location of jobs closer to where people live. “One important role that is missing from the proposed legislation is that of co-ordinating government agencies on development application referrals. Currently many development applications in metropolitan Sydney are delayed for many months by referrals to many government agencies. Referrals to roads or rail agencies as well as to water and electricity agencies are slowing the approval process down. “In Queensland a one stop agency, the State Assessment and Referral Authority (SARA), resolves all state government referrals within tight timeframes. NSW must adopt a similar system and the Greater Sydney Commission should lead in driving reform in this area. 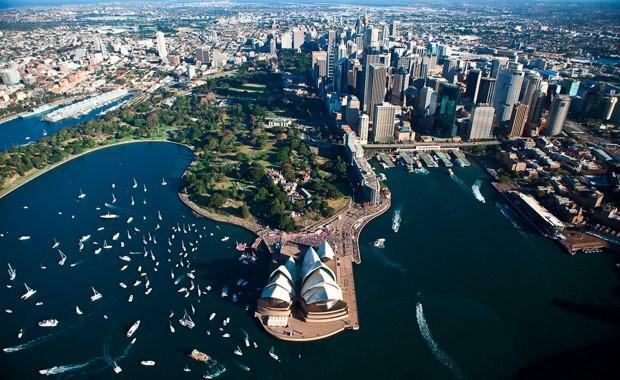 “The Urban Taskforce is keen to work with the Greater Sydney Commission in its important tasks. While local communities are represented by the six District Commissioners, the involvement of the risk taking development and investment sector does not seem to be part of the structure. “It will be essential for the Greater Sydney Commission to listen to the private sector investors in new property to ensure that they are encouraged to create the new housing and job development Sydney needs as growth continues."